It's not often that a sign is special enough to receive a ribbon cutting and ceremony. 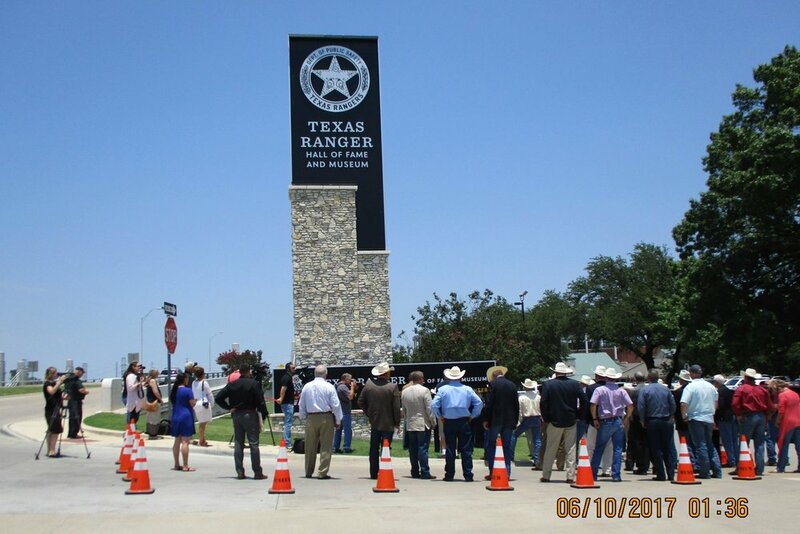 However, our Texas Ranger Hall of Fame and Museum monument sign received this great honor earlier this month. This event coincided with the annual Texas Ranger Reunion; the most convenient time for active and retired Rangers to attend. Since the monument sign's completion, it has become a landmark on I-35. The sign is one factor that has raised attendance at the museum since January of this year, exceeding the previous year’s attendance by almost 50%. The sign has become a frequently photographed symbol for the Texas Rangers and a landmark for the City of Waco. "We are grateful to the Waco City Council for allocating funds to upgrade the quality and appearance of the original design. 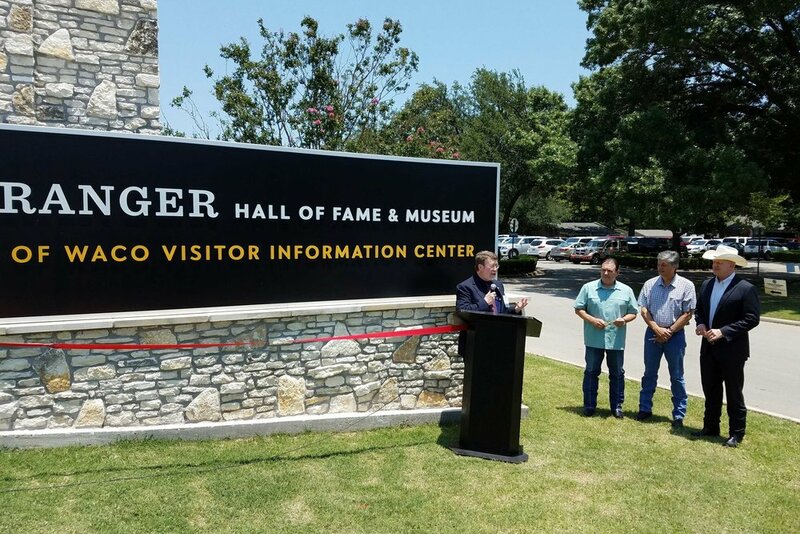 The final product, by Tangram Design of Denver and Harbinger Sign of Plano, is an appropriate monument for a State historical center."